Located in Rome, a 3-minute walk from Piazza Navona and 0.7 miles from Castel Sant'Angelo, PF Apartment offers free WiFi and air conditioning. 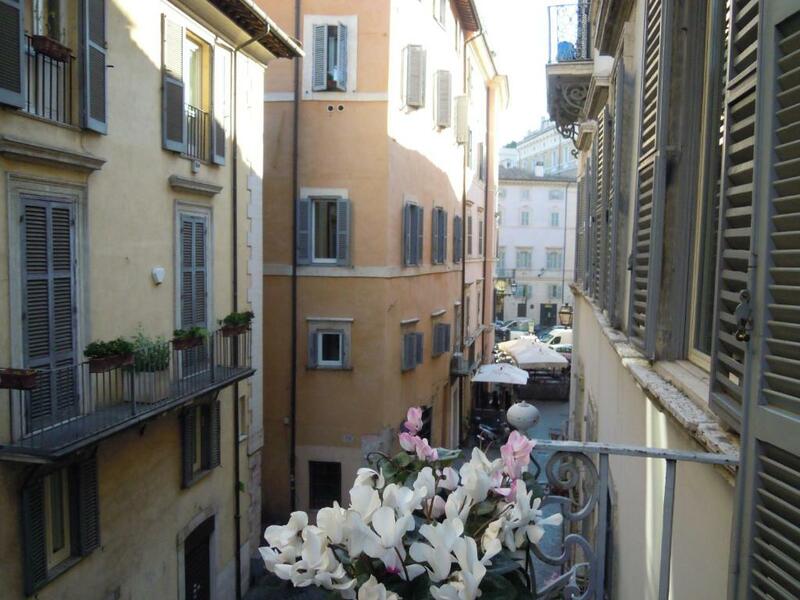 The property is a 15-minute walk from Trevi Fountain. This apartment has 2 bedrooms, a kitchenette with a microwave, a flat-screen TV, a seating area and a bathroom. Private parking is available at the apartment. Campo de' Fiori is 0.8 miles from PF Apartment, while Torre Argentina is a 17-minute walk away. The nearest airport is Ciampino Airport, 11 miles from the accommodation. When would you like to stay at PF Apartment? This split-level apartment features kitchenware, a seating area and tile/marble floor. A pochi metri da Piazza Navona, gli appartamenti sono ubicati in un palazzo storico del XVII secolo, fatto costruire dal Papa Sisto V per la sua famiglia. House Rules PF Apartment takes special requests – add in the next step! Please inform PF Apartment of your expected arrival time in advance. You can use the Special Requests box when booking, or contact the property directly using the contact details in your confirmation. A damage deposit of EUR 150 is required on arrival. That's about 168.04USD. This will be collected by PayPal. You should be reimbursed on check-out. Your deposit will be refunded in full by PayPal, subject to an inspection of the property. We need at least 5 reviews before we can calculate a review score. If you book and review your stay, you can help PF Apartment meet this goal. Beautiful old building but it would have been nice to have had more windows and more of a view of the outside. Location is perfect. Just off Piazza Navona in a street full of character. Hosts did everything they could have done to ensure our comfort. Pleant of space for 4 of us in the apartment.